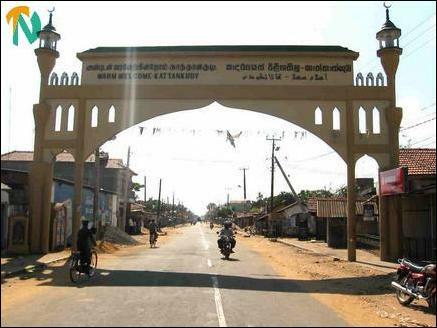 Shops and businesses were closed and few people were on the roads in several Muslim towns in the Batticaloa and Amparai districts Thursday in response to a call by a shadowy Islamic militant body in the east calling itself ‘Muslim Resurgence Group’. The Islamic militants called the shut down in protest against the inaction of Muslim politicians whom they described as “venal opportunists”. 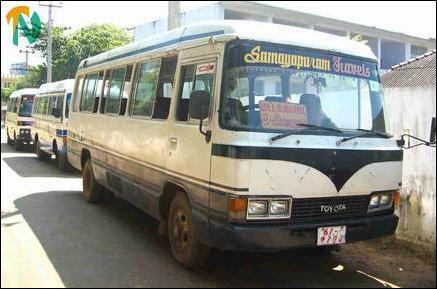 Unidentified members of the group stoned and damaged four long distance buses that were passing Kattaankudy, a large Muslim town 5 kilometres south of Batticaloa. Passengers too were hit by the hail of stones, bus drivers said. 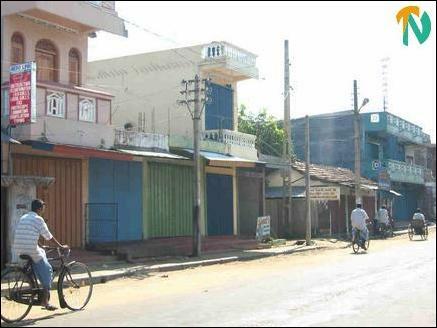 Additional Policemen were deployed in Kattaankudy later in the day to prevent further violence. The Liberation Tigers defused tension between Muslim traders and private bus owners in Batticaloa town over the stoning incident. The head of the LTTE’s political division for Batticaloa-Amparai, Mr. E. Kousalyan will meet the federation of mosque trustee boards of Kattaankudy Friday to discuss issues of concern to Tamils and Muslims in the area, LTTE sources in Batticaloa town said. A Sri Lanka Police officer in Batticaloa said reinforcements were being deployed in potential flash points in the Muslim towns because it is suspected that the group is armed. “Muslim MPs, politicians, community leaders and the local Mosque elders seem to have little control or influence over these militant elements that are behind this Hartal (shut down). Therefore we have to take extra precaution to see no trouble breaks out. The militant Muslim group and its backers are bent on creating a volatile situation here”, the Police officer told TamilNet. Private bus operators protesting at the bus stand.